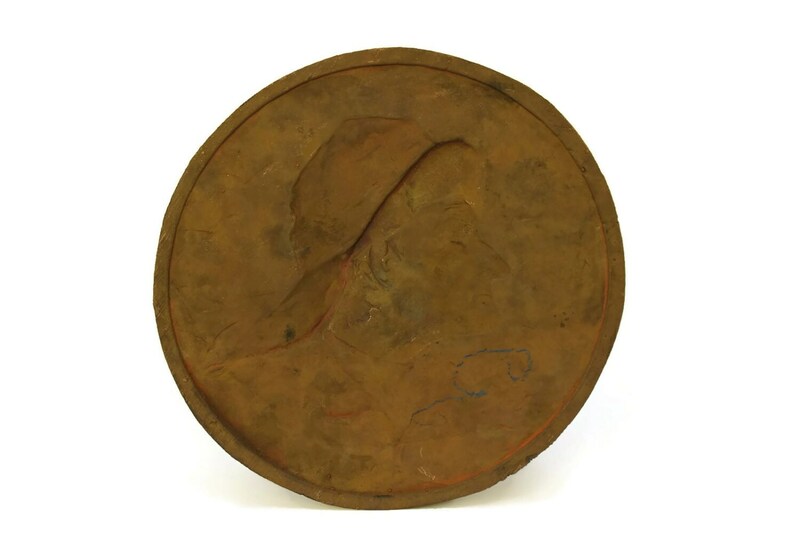 Antique French Sailor Portrait Wall Plaque. Fisherman Art. Beach Decor Copper Wall Hanging. 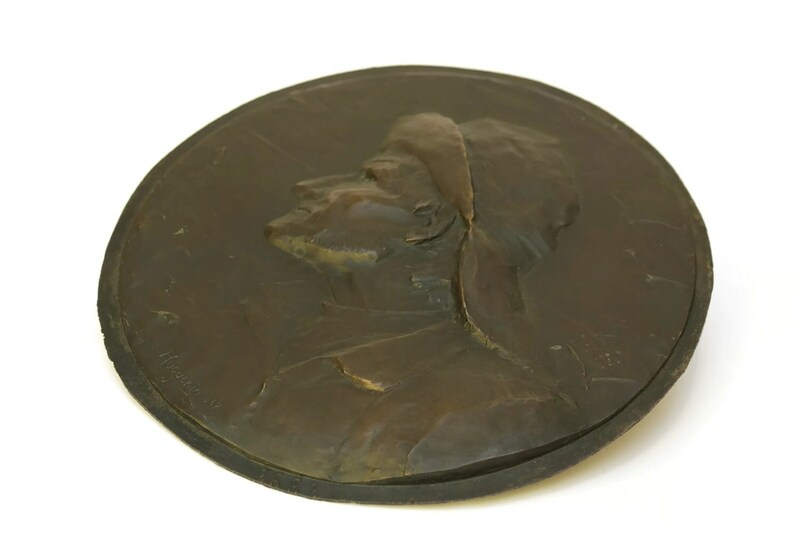 An antique wall hanging plaque featuring the portrait of a French sailor. 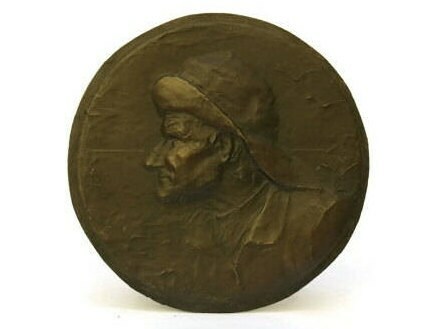 The large, round copper plaque has been decorated with a relief illustration of a sailing fisherman from the French atlantic coast. His face is full of character and a group of seagulls can be seen flying in the distance. 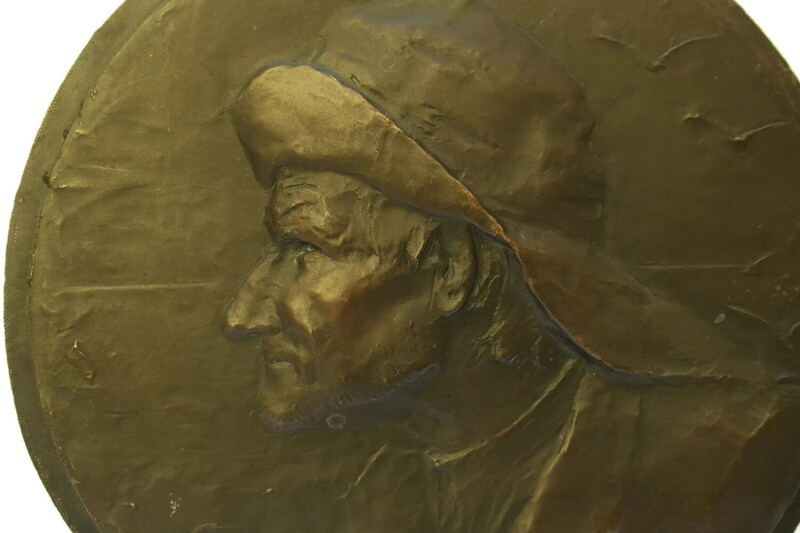 The base of the portrait has the name of the artist Huguenin and the piece's reference number. 10" in Diameter (26 cm). 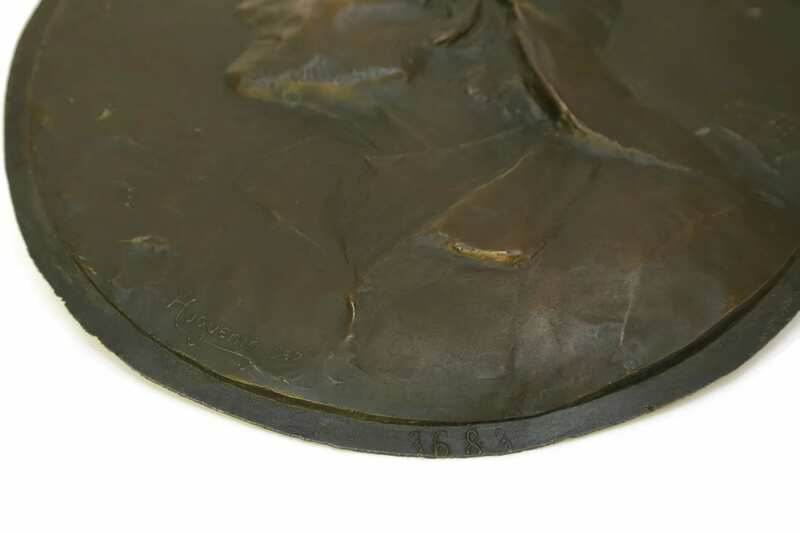 The antique sailor plaque is in good condition with signs of age including patina and marks to the surface. Item ref: Antique French Sailor Portrait Wall Plaque. Fisherman Art. Beach Decor Copper Wall Hanging.